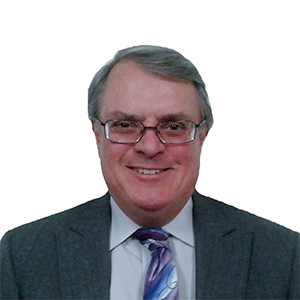 William F. Tarchala (Bill) has returned to Mullen and Filippi as of January 22, 2018; he originally started with Mullen and Filippi on April 17, 1995. Bill has practiced for 23 years doing workers' compensation defense, as well as defending employers on issues of Serious and Willful and Labor Code 132(a) claims. Bill received his Bachelor of Arts degree with majors in Literature and Philosophy, with a minor in Psychology from Northern Illinois University in 1976. Bill attended law school at night while working as a Supervisor for Continental Insurance, and graduated from Lincoln Law School in 1994, where he was awarded Best Oral Argument in the Moot Court of Lincoln Law School. He was admitted to practice in 1994. Bill has served on the Board of Directors for Professionals and Workers Compensation Mid-Valley chapter since the chapter was formed in Stockton. He has served in a number of positions, including several terms as both Vice President and President, and is currently the Co-Speaker Director. Looking back on my insurance career, with half my time spent as an examiner and the other half spent as a supervisor, with the last three years as a Litigation Supervisor for Workers Compensation, I can understand the complexity and challenges our clients face on a daily basis in the insurance field. This also assists me in keeping my cases moving forward, and obtaining settlements at the earliest opportunity. When I am not working on cases, I enjoy home-brewing beer and cooking. I had worked as a cook for various restaurants for over 15 years. I also am a National Beer Judge, judging numerous competitions, and have been the organizer for the Amador County Fair Beer Competition since 1995. When I have time, I also enjoy singing and playing my guitars.